Have we not learned anything from Boaty McBoatface gate? If you want sensible, don’t leave the public in charge of naming things. Still, it happens, and secretly we love it – now, after a public vote to name four trains running between Stockholm and Gothenburg, one of the trains is about to be named Trainy McTrainface. Trainy McTrainface received 49% of the votes in a poll which was run by Swedish rail company MTR Express and Swedish newspaper Metro, according to the Guardian. The other names aren’t quite as ridiculous: Hakan, Miriam and Poseidon. Now you may remember last year when the British public voted for a British Antarctic Survey research ship to be named Boaty McBoatface? It was a great time, followed by the ultimate betrayal when the decision was overruled, resulting in the vessel being renamed RRS Sir David Attenborough – fair play to Sir David. 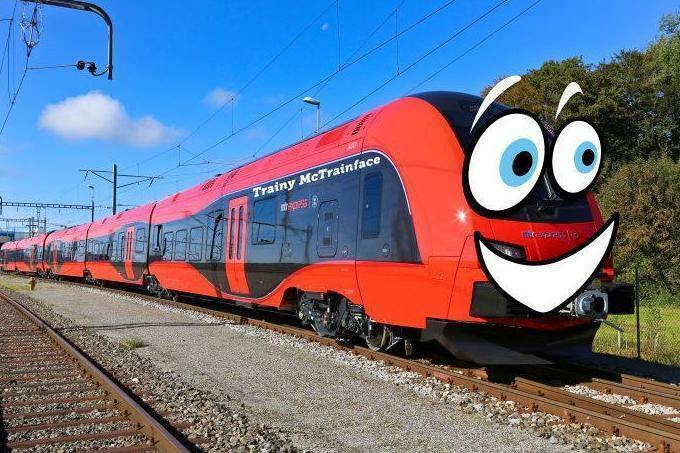 MTR Express said the Boaty McBoatface name change had ‘led to disappointment worldwide’ and they hoped the name Trainy McTrainface would be ‘received with joy by many, not only in Sweden’.